Rejecting the application, Justice Vineet Kothari also summoned Mallya to appear before the court on January 29. BENGALURU: In a blow to Vijay Mallya, the Karnataka High Court today rejected the beleaguered liquor baron's application for recalling its order summoning him for allegedly violating an undertaking given by him and his companies not to transfer their equity shares in United Breweries to Diageo Plc. Earlier on October 20, a division bench comprising justices Jayant Patel and Aravind Kumar while passing orders on petitions by a consortium of banks led by State Bank of India, had summoned Mallya to appear before it on November 24. 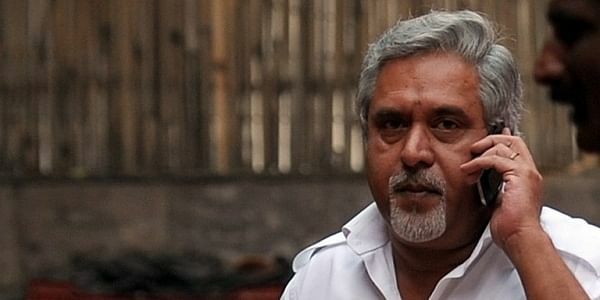 The banks have accused Mallya of violating the undertaking given by him and his companies, including Kingfisher Airlines, not to transfer their equity shares in United Breweries Holdings Limited (UBHL) after Debt Recovery Tribunal (DRT) had restrained Standard Chartered Bank, with which the shares had been pledged, from handing over these to Diageo Plc. The DRT, in its order last year, had restrained Standard Chartered Bank from transferring to Diageo Plc or anyone else, the equity shares of UBHL pledged by Mallya and his son Siddharth with the bank. In their pleas, the banks alleged that despite the earlier order by DRT, Standard Chartered Bank was in the process of transferring to Diageo Plc the equity shares. Diageo Plc, the world's largest spirits maker, which acquired control of United Spirits (USL) in 2012, had issued a guarantee to Standard Chartered Bank for a USD 135 million (around Rs 877 crore) loan to Watson Limited, a firm affiliated to Mallya, to release certain UBHL shares that were to be acquired as part of the deal. The banks had also said the very pledging of the shares by Mallya was illegal. Mallya, whose now-defunct group company Kingfisher Airlines owes over Rs 9,000 crore to 17 banks, had left the country on March 2 and is in the UK. He has been declared a proclaimed offender by a special PMLA court in Mumbai on a plea by the Enforcement Directorate in connection with its money laundering probe against him in the alleged bank loan default case.